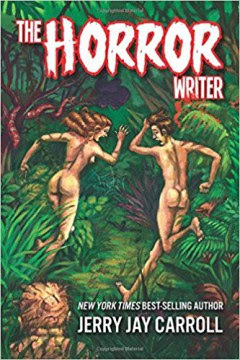 Jerry Jay Carroll, former Pulitzer-nominated journalist with a great sense of humor, has a new book, The Horror Writer. I really want to read it based on the premise. Horror writer Thom Hearn runs a fiction factory that pumps out bestsellers like Jimmy Dean does sausages. He’s got fame and fortune, but where’s the respect? He’s a sensitive guy and it hurts nobody admits they read the books or see the movies except dumb teenagers.. Then he gets invited to a conference for big shots. His ego is soothed until he’s told somebody made a big mistake. And then characters from his books begin showing up. The homicidal maniac wants to kill him…slowly. Also check out his other booksother books, including Top Dog, which we featured as a new release last year.